Lately, I have been testing a lot of face washes, but as I don't change my products too often, I had to wait before I could actually hop on to this one. 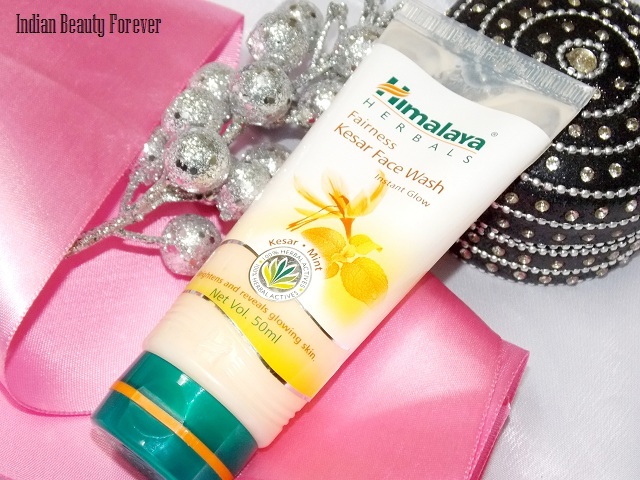 I will review Himalaya Herbals Fairness kesar face wash today. This is the face wash that I am currently using reason being its winters and skin tends to get drier doesn't matter whether its oily or dry, It will still get comparatively drier in this chilly season anyways and this face wash has something which makes me prefer it for this season. You will come to know that as we proceed with the review. Gosh!! Capital is just freezing these days and this cold will never spare me during this time of the year. 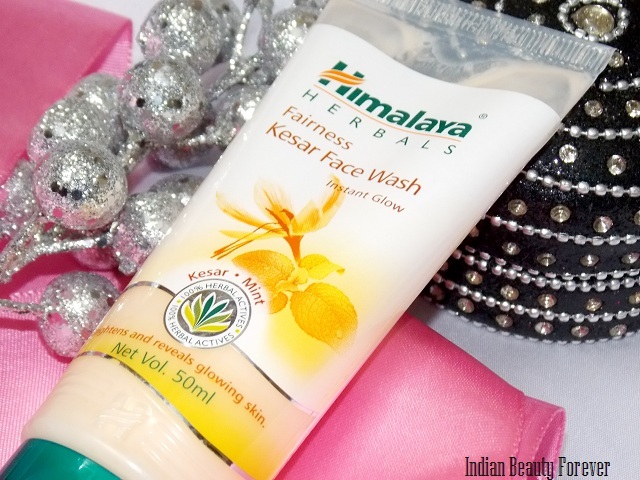 Claims- Himalaya’s Fairness Kesar Face Wash is a soap-free, natural formulation that brightens and rejuvenates your skin, giving it a healthy, natural glow. Enriched with Saffron, proven for its complexion enhancing properties, this face wash gives you a fairer and clearer complexion. Pomegranate nourishes, while Mint cools and Cucumber soothes your skin, leaving it refreshed. 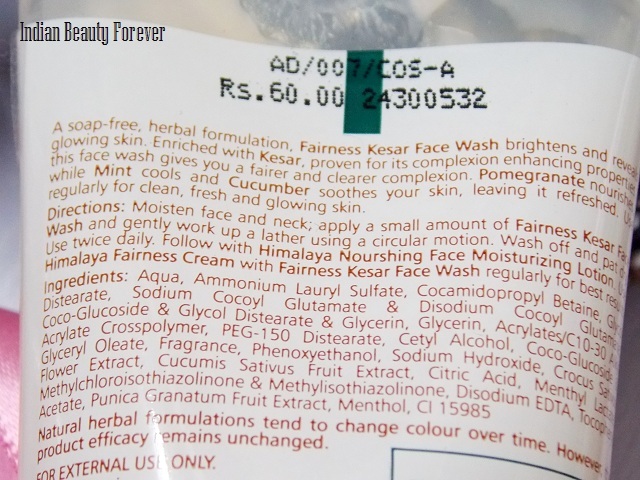 This Himalaya face wash no wonder comes in a regular tube packaging. 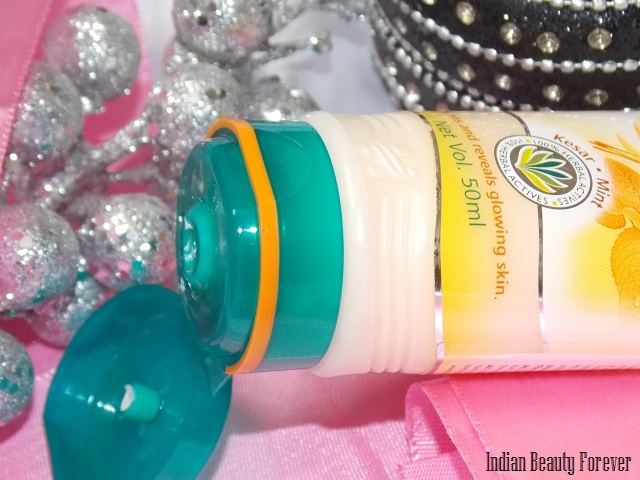 It has kesar and mint that gives instant glow. It smells like Indian Roses, very very pleasant smelling and has a very thick consistency. When I try to squeeze it out of the tube, it will comes out as a blob, perfectly round in shape, and while I try to rub it on my palms, it reminds me of mashed banana. It doesn't lather much or at most very mild lathers will be there however skin still feels clean and fresh. Right from the first brush up with this product till now, I have noticed it brings a glow to my face, Therefore, I'll definitely go with their claim that it gives glow which is certainly does. I have combination skin and during winters I tend to stay away from oil control sought of face washes so, that way this face wash is just prefect for me for this weather. In fact those of you with dry skin, this can be a decent option as it keeps skin hydrated at the same time cleans it well. It will not over strip the essential/natural moisture from your face! I cant say about the fairness thing but it gives a glow as I said and due to which skin looks radiant. As a decent cleanser, it does its job. By the way, this is one of those products where, Himalaya herbals have given the complete list of ingredients. While I am using it I have not face those tiny boils or pimples. Having said that, If you have oily skin then, you may skip it else for dry to combination skin, it's a good choice to try once and notice it yourself. as of now, I am happy with this in this season and no longer wants to switch to other brand or any other face wash from the same brand. 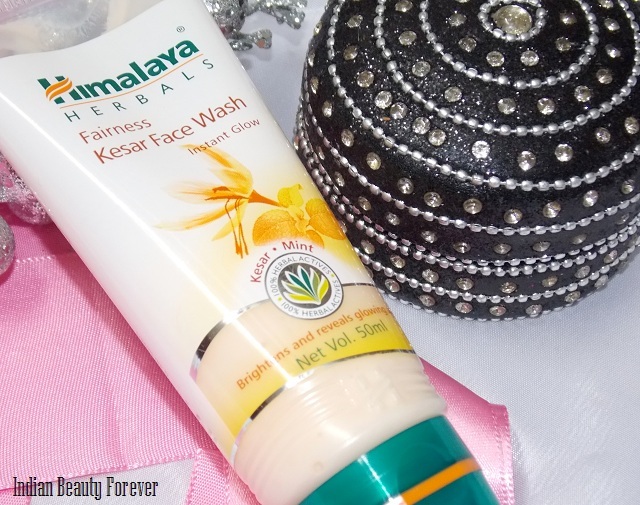 Take- Himalaya herbals fairness kesar face wash is a light on pocket face wash that may not lather much but its creamy formula gives a glow to the skin. Skin feels hydrated and no stretchy feeling as it doesn't strip off the natural oils If you have dry skin then you can consider trying this and combination skin too. Oil skinned people wont loose out if they skip this. **PR sample though review is honest as per the blog policies!! !